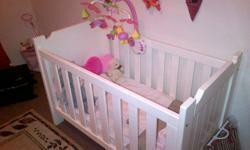 Selling a beautiful large white wooden cot.Solid and in excellent condition. Including a waterproof mattress. 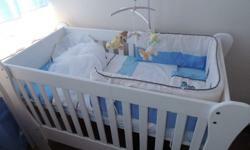 Beautiful big white wooden cot for sale. 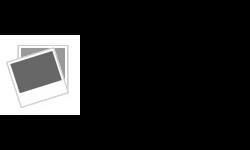 In very good condition and very solid. 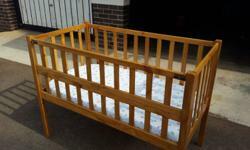 Large wooden cot with mattress. Simple but beautiful solid white wooden cot. Drop down sides. 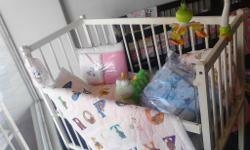 Beautiful solid white wooden cot. Drop down sides. Solid Wooden cot. excellent condition. If you still see this add the item is still available. 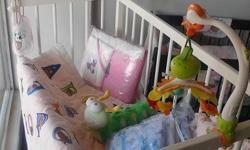 I have a beautiful LARGE white wooden cot for sale. 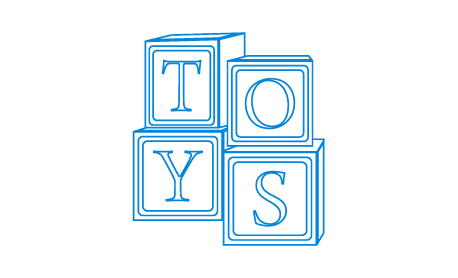 It has two adjustable heights for your baby or toddler.